Press passes are not available for BuildingEnergy NYC. If you are interested in a pre-event promotional partnership, please email Jenny by September 1st, 2018. 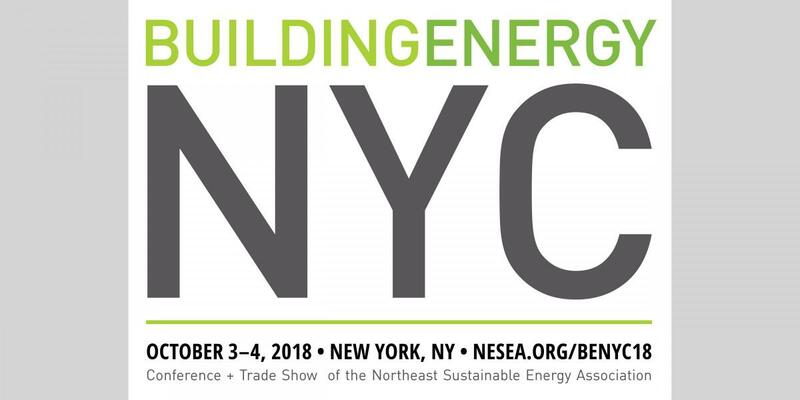 Don't miss the BuildingEnergy NYC Conference + Trade Show, NYC's premier event for professionals and practitioners in the fields of high-performance building, energy efficiency, and renewable energy. Hosted by the Northeast Sustainable Energy Association (NESEA), this year's event is on Wednesday & Thursday, October 3 & 4, 2018 and will feature 24 accredited sessions and 50+ exhibitors. Register today at nesea.org/benyc18.